One of the keys to a successful infill revitalization plan is its ability to respect context while minimizing liabilities. This is especially true when the neighborhood surrounding an infill site developed without many of the amenities that today’s residents expect. In the case of the Manget Street property, out-of-character quadruplexes are surrounded by a neighborhood of simple homes from the 1940s. The area lacks parks or a comprehensive sidewalk system. The most current structures on the site lack character and reinforce a negative perception of the neighborhood, in spite of strengths that include location, street grid, and overall neighborhood structure. 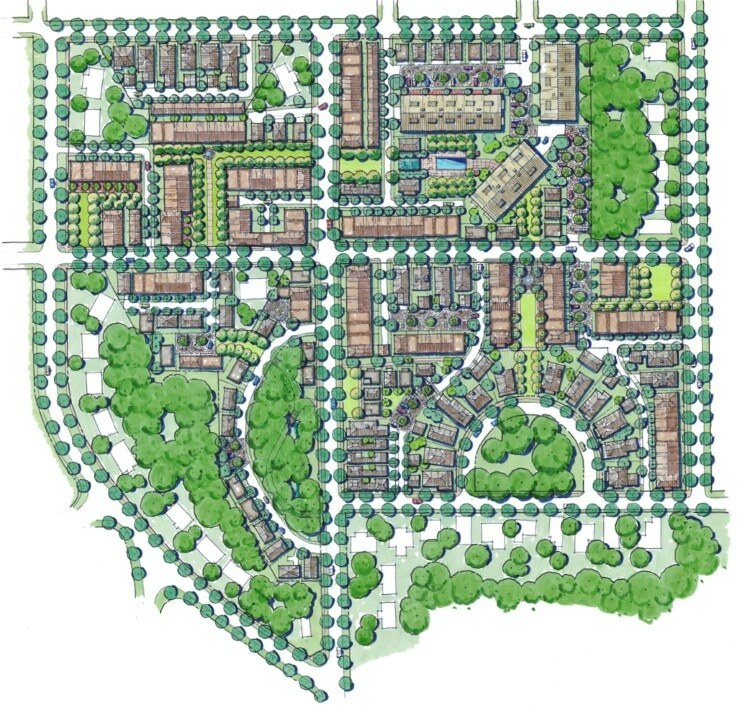 TSW’s proposed site plan utilizes a new urbanist approach to remedy key challenges, while building on strengths to benefit both the development and the surrounding neighborhood. 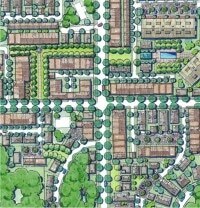 By creating a plan that focuses on respecting neighborhood scale, character, and natural resources the plan utilizes the basic building blocks of a community – the interplay between public and private realms – to create a superior design and sense of place. The creation of a meaningful public realm is achieved through variety of techniques, but central to this is a series of small, interconnected parks. The largest park, at over half an acre, is a semi-circle shaped one along Haley Street. To the north is a “mew” that crosses Frasier Street, with other small parks along Manget Street and South Avenue. The second key piece of the project’s public realm is its pedestrian-orientation. New tree-lined sidewalks with a seven-foot wide planting zoned and a five-foot wide sidewalk clear zone are provided along all streets. These sidewalks connect to mid-block sidewalks along the “mew” and provide pedestrian access to the Haley Street park. The private realm enhances the public realm via sidewalk-oriented buildings fronting the streets and “mews” in a dignified manner. Gracious porches and stoops provide a place for neighbors to socialize, while garages are relegated to alleys so as to be unseen from the street. This strong building presence allows residents to monitor the public realm and take greater ownership of its appearance and safety. 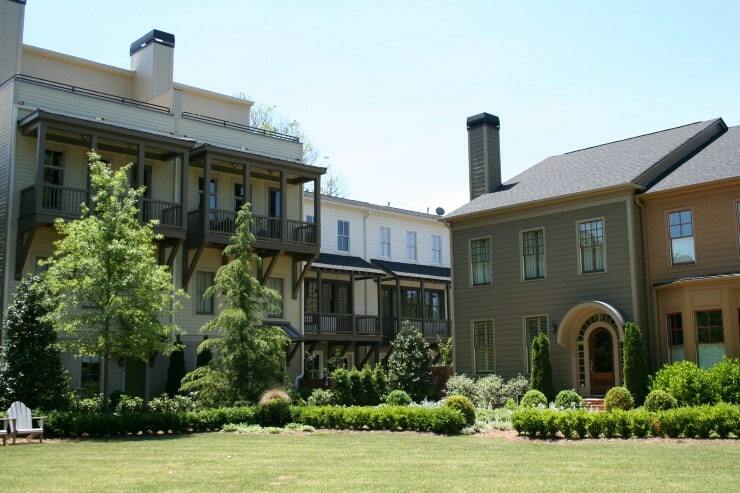 In this way, the orientation is in the tradition of the surrounding neighborhood and the historic urbanism of Marietta.